Natural lime with magnesium, dustproof granules which are dissolving easily. Increases rapidly the pH, and makes soils less acid. 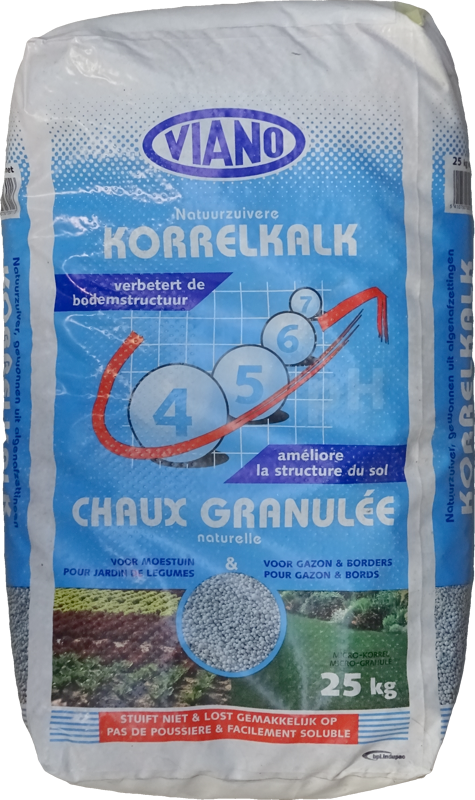 Ameliorates the soil structure and guarantees strong and healthy plants/crops. Activates the soil life. 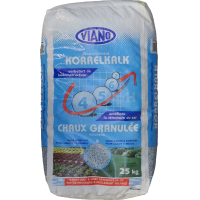 Granules which are spread very easily. Granulated lime is ideal for lawns due to the presence of magnesium. Application in ornamental garden, kitchen garden, greenhouse and fruit garden. Can be incorporated in the soil or spread afterwards. In general a rate of 12kg/100m² per year is recommendable.